The Graeco-Roman period covers some six centuries and may be divided into two periods: the Ptolemaic Period (332-30 BC), when Egypt lost its independent status after Alexander the Great’s conquest; following his death his empire was divided, and Egypt fell to the share of Ptolemy I Soter (Saviour). He and his successors were known as the Ptolemies, and during their rule, Egypt became, once more, the seat of a powerful kingdom. Egypt of the Ptolemies fell under the growing influence of Rome and finally became a province of the empire. 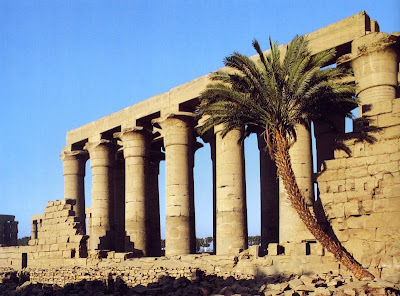 During the Roman Period (30 BC- AD 395), an effort was made to maintain the appearance of a national state, but Egypt was no more than a dependant of Rome. 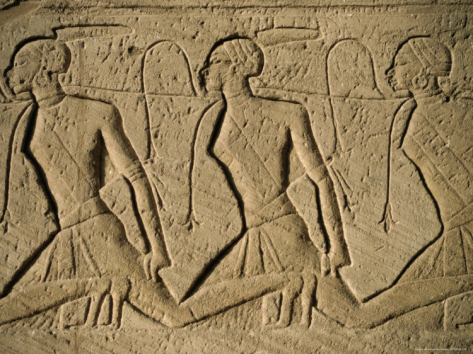 Hard- pressed to meet the demand for grain, and persecuted by the Romans, many Egyptians sought refuge in a life of asceticism, founding the monastic way of life (Chapter 8). When Alexander met his untimely death of a fever at Babylon, the great Macedonian Empire declined. Egypt was held by Ptolemy, who gradually took over leadership, first as Satrap*, then Governor and, finally, in 305 BC, as King. 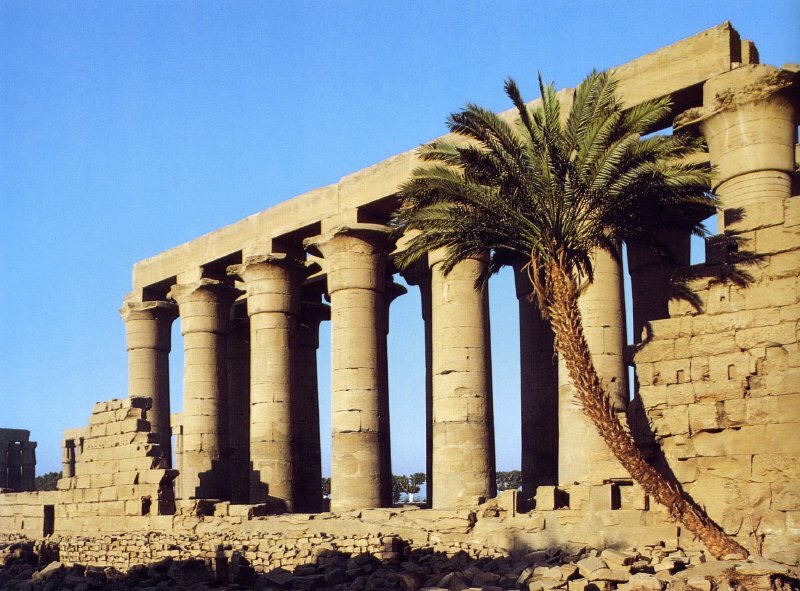 During the three centuries of the Ptolemaic Period that followed, Egypt became once more the most prosperous, rich and powerful state in the world. The reputation of Egypt as a land of wonders was widespread on the Greek mainland long before the occupation, and the Greeks held the Egyptian culture in reverence. Traders from the Nile valley, from Phoenicia and from Asia had long talked of the strange gods and of the wonderful temples. When Herodotus travelled to the Nile valley during the first Persian occupation (445 BC), he took back to Greece stories that made a lasting impression on the people; though Greek scholars had traced political events to earthly causes and had received enthusiastic approval among the educated classes, Herodotus’ tales of the will of the gods, as prophesied in divine oracles and ‘sacred mysteries’ (in fact they were traditional dramas), had greater appeal with the masses. Hordes of soldiers, merchants, craftsmen, businessmen, beggar-priests and soothsayers, who had once filed in solemn procession along the roads leading to Delphi or had participated in the mysteries of Eleusis, now took refuge in the Nile valley, where they came for the strange and the mystical. The Ptolemies saw the need to create a national god that would be equally acceptable to the Egyptians as to the cult-seekers of the Greek world. Egypt’s most beloved god, Osiris, was identified with their own invented god Serapis and declared to be the official god. Of course, Osiris, as god of the underworld, became one with Hades (Pluto) of the underworld. The cult of Isis was also promoted and Hellenised; as the beloved wife of Osiris and mother of Horus, she was identified with the earth-mother Demeter. To cater for the vast Egyptian, Greek and Macedonian masses, the Ptolemies identified Egypt’s deities with deities of the Greek islands and the Asian mainland: Egypt’s Amon-Ra, king of the Gods, was identified with Zeus, supreme god of Olympus; Amon’s wife, Mut, was identified with Hera, Queen of the Sky. The Egyptian Horus was easily identified with Apollo, both being regarded as Sun-gods; Thoth, the Egyptian god of wisdom, who invented writing, was associated with Hermes, messenger of Zeus. A common culture to embrace a whole range of cultural interests, rites and mysteries was created that provided for the widest possible audience. 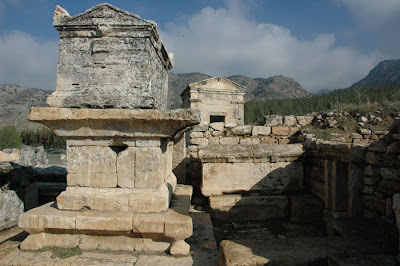 Both Greek and Egyptian could worship his own god under a Greek or an Egyptian name in the same temple. Though annual festivals were still geared to the seasons and were joyous if solemn affairs, the ‘initiation mysteries’ and the mysterious ‘stunts’ (like the claim that the statue of Amon at Siwa nodded in approval of Alexander’s kingship) greatly appealed to the masses. And the priests, who claimed a knowledge of the special secrets of oracles, aroused awe in the curious spectator and evoked responsive faith in the believer. During the Ptolemaic period, public records of the activities of the pharaohs, as well as details of national and religious feasts Greek and Egyptian - were presented to the public. Consequently, such texts as those inscribed on the famous Rosetta Stone (which provided the key to the deciphering of hieroglyphics) and the Decree of Canopus (which survives in three copies) bore two forms of the Egyptian script, hieroglyphics and its later development, demotic, along with a Greek translation. They were copied on stone and set up at widely separated sites: at Alexandria, Canopus and Naucratis - the Greek city states in Lower Egypt; at Arsinoe - the City of Crocodiles and the capital of the Greek settlement in the Fayoum; and undoubtedly at Ptolemais (now Minshah) - the Greek city state with a Greek constitution in Upper Egypt. Towards the end of the Ptolemaic period a change came about. The court, rich in material wealth and lax in morals, became the scene of decadence and anarchy. Meanwhile, across the Mediterranean, Rome was rising as a great power and Egypt began to fall more and more under its influence. Cleopatra, one of the most colourful characters of the last phase of Ptolemaic rule, was eighteen years old when she came to the throne as a co-regent with her brother Ptolemy XIII. They were under the guardianship of the Roman senate. Filial rivalry led Ptolemy XIII to banish his sister from Egypt. Cleopatra sought refuge in Syria with a view to raising an army and recovering the throne by force of arms. When the ageing Caesar came to Alexandria in 47 BC, he took the part of the banished queen. It was a short-lived recovery; were it not for the famous love affair between Cleopatra and Mark Antony, Caesar’s close friend, the end of the Ptolemaic period might have been obscured. As it was, Antony was declared an enemy of Rome by the Senate and Octavian, Caesar’s successor, set sail across the Mediterranean, determined to conquer Egypt once and for all. Mark Antony had been living in the luxury of the Egyptian court with Cleopatra. He set sail to meet the challenge, but he was no match for Octavian. They met at Actium, on the western coast of Greece, and the battle was fought within sight of the land. Antony was seen to abandon his soldiers, board Cleopatra’s royal cedarwood vessel, which was surrounded by its fleet of smaller ships, and make his escape. Rather than face disgrace he commited suicide. Octavian had no difficulty in capturing Alexandria. Cleopatra, aware that she would be taken prisoner to Rome, is said to have allowed herself to be bitten by a poisonous asp. The Ptolemaic period was over. ‘I added Egypt to the dominions of the Roman people’ recorded Gaius Julius Caesar Octavianus Augustus, now sole ruler and emperor.